Digital library users have to deal with many separate services. 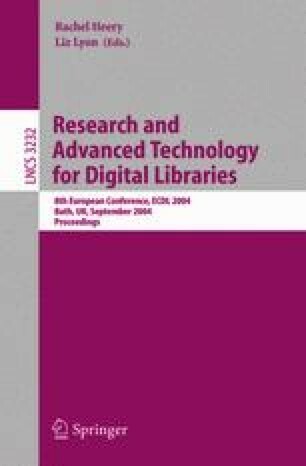 This paper describes efforts in the United Kingdom to use OpenURL technology to provide ‘joined-up’ services. The focus is on zetoc, a national electronic service, which enables users to find references in a British Library bibliographic database. zetoc now uses OpenURL technology to provide routes to services, which might give users access to electronic full text versions of references they have found. Data is provided from two questionnaire surveys and an interview programme conducted to explore user responses to these services. These evaluation studies show that users want these integrated services and are extremely positive about them when they work. However, ‘joined-up’ services depend for their success on the access rights that each user has to full text sources in their institution. As a result, the success level in obtaining full text varies considerably between institutions. Users in disadvantageous positions have expressed disappointment and frustration; the service may be regarded as a promise not fulfilled. The paper describes the development of ‘joined-up services’ as a partnership at national and local levels.